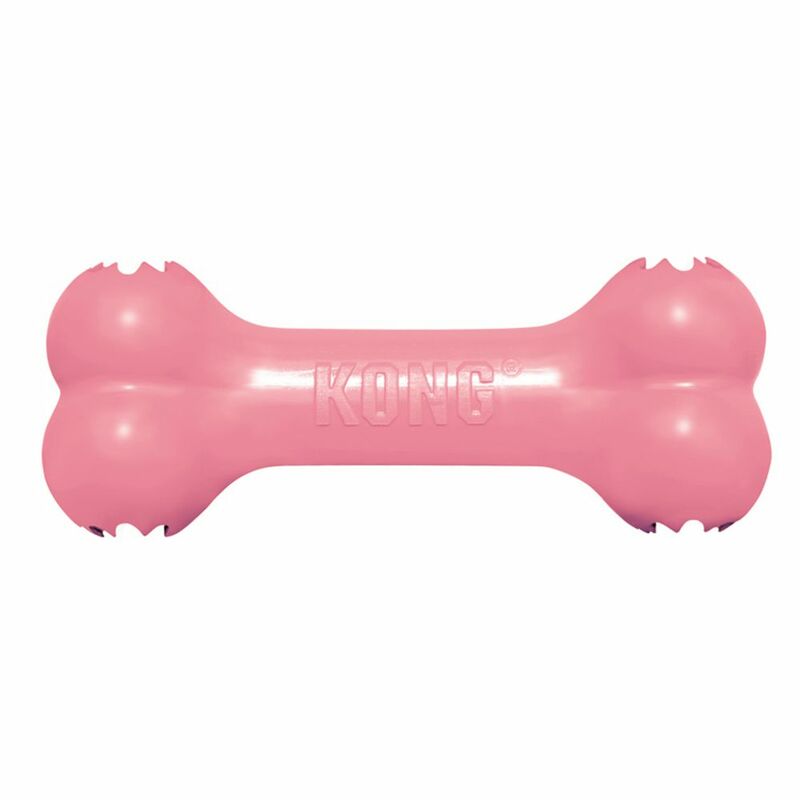 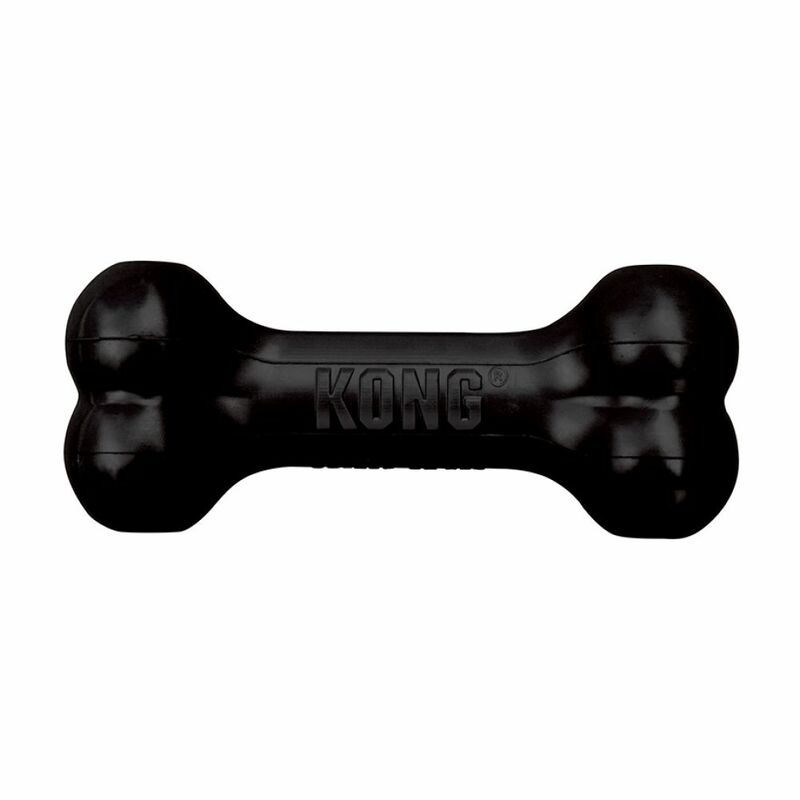 The KONG Goodie Bone™ toy engages dogs that delight in chew sessions. 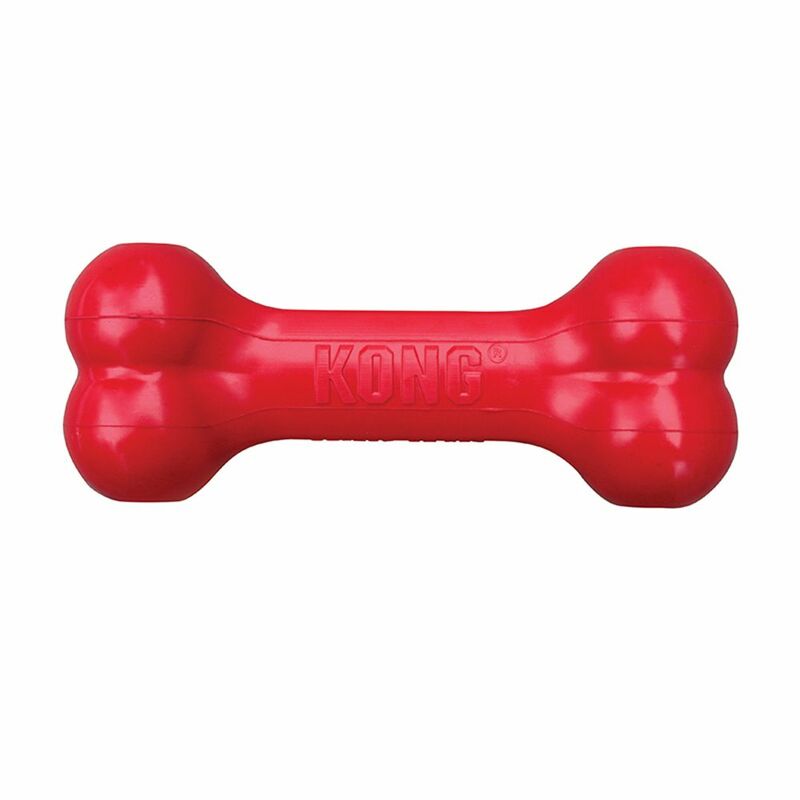 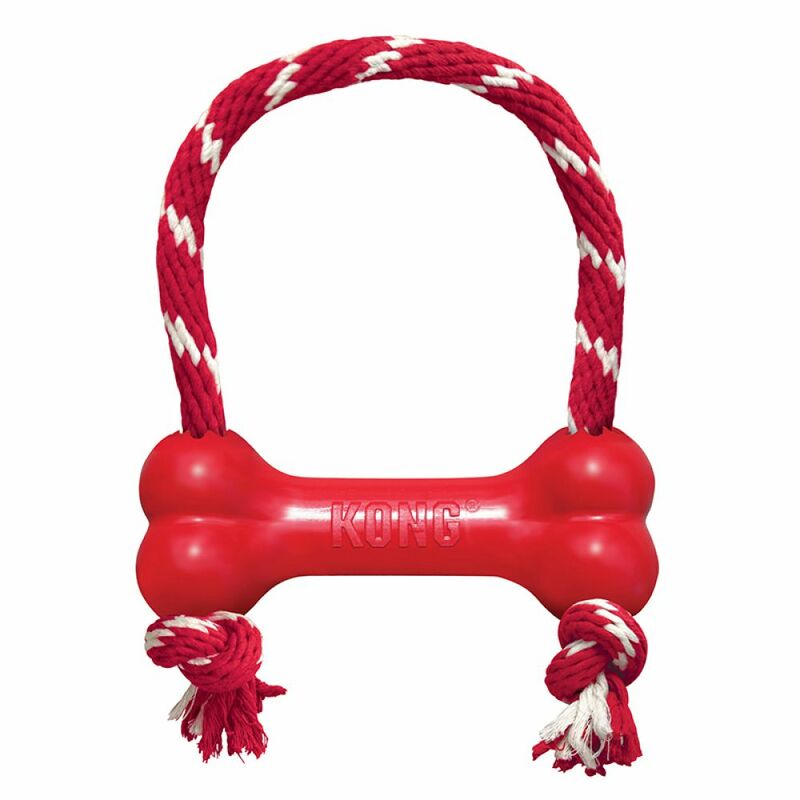 Made from the KONG Classic unique natural red rubber formula, this bone features the patented Goodie Grippers ™ that turn this entertaining toy into a fun treat dispensing challenge that can be stuffed with your dog’s favorite kibble. 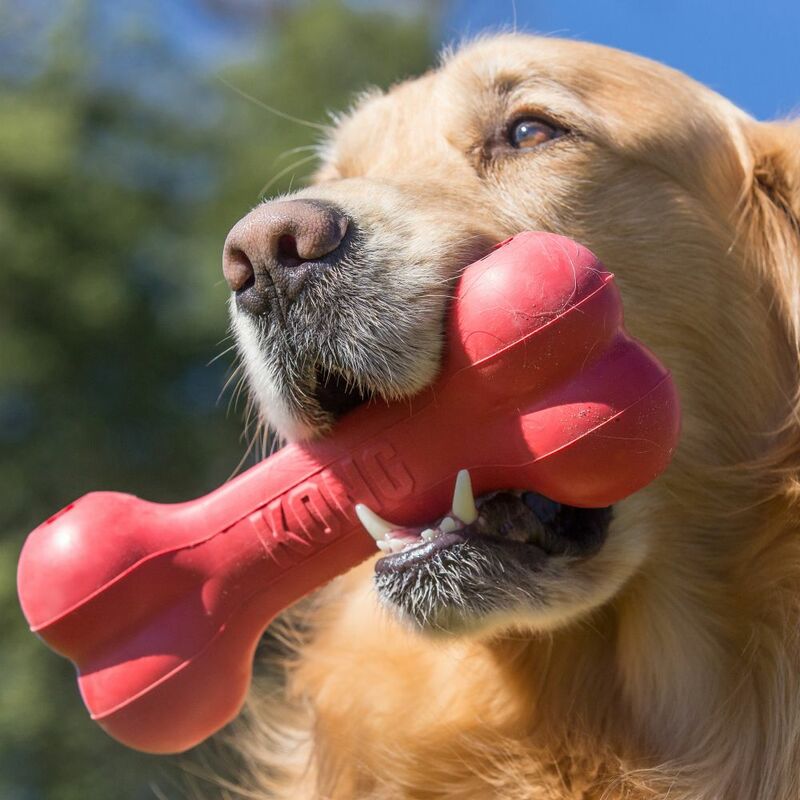 Want to extend the chew session? 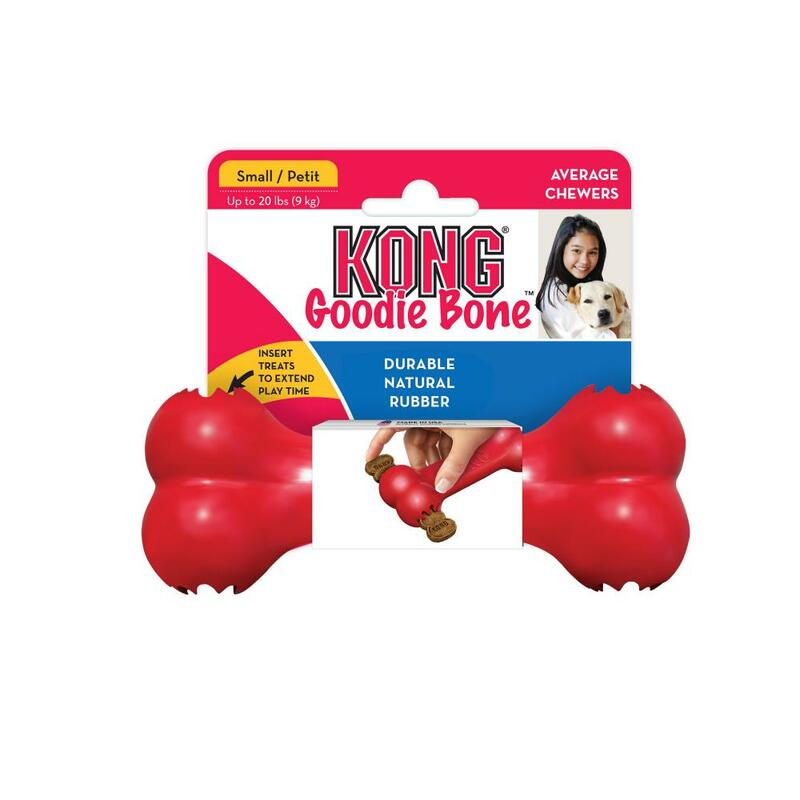 Stuff with KONG Snacks™ and entice with a bit of KONG Easy Treat™.